The essays in the volume were assembled in honor of Lester Embree, who celebrated his 70th birthday on January 9, 2008. A preview of this volume was presented to Professor Embree at a reception sponsored by the Center for Advanced Research in Phenomenology that was held in his honor at the 2008 meeting of the Husserl Circle at Marquette University in Milwaukee, Wisconsin. Blosser, P. , Nenon, T. (2010)., Introduction, in T. Nenon & P. Blosser (eds. 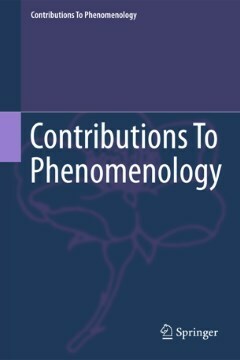 ), Advancing phenomenology, Dordrecht, Springer, pp. 1-4.